As almost all of you know by now, a serious boating accident occurred during the recent FLW Series event on Lake Okeechobee. 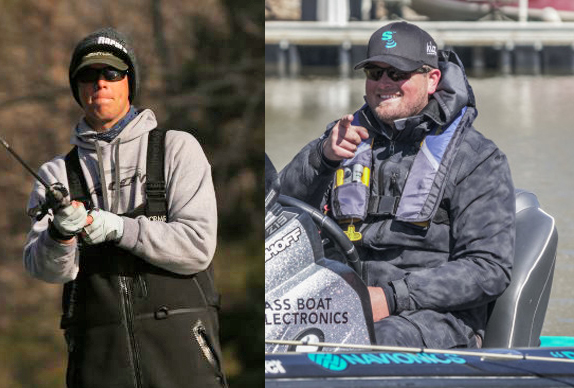 Boater Bill Kisiah and co-angler Nik Kayler were ejected from their boat on the first day of competition. Kisiah made it to shore, but suffered severe hypothermia. Kayler was found dead after six days of searching. I can only imagine the pain and suffering his family is going through. When accidents like this occur, it affects us all. Our thoughts turn immediately to the families and friends of those involved, and we�re reminded how precious life is � how fragile we truly are. Competitive fishing can be a dangerous sport. It may not appear that way from the outside, but it is. When you combine fast boats and sometimes treacherous conditions with angst and adrenaline, it can lead to a tragic outcome. Faulty equipment, too, can enter the mix. It�s likely a combination of these contributed to what I�m about to share next. During a B.A.S.S. Invitational on the Hudson River in the 1980s, I was fishing with Tom Batterton, close friend and traveling partner of Guido Hibdon. 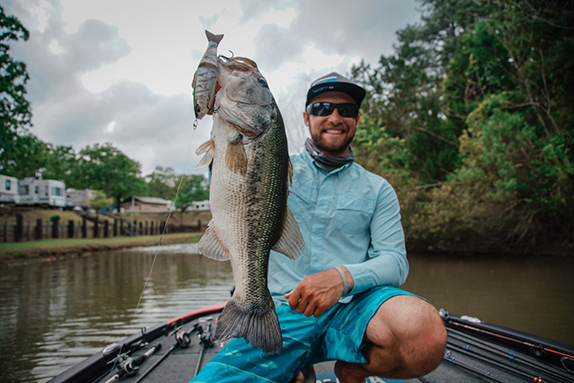 We were having a good day on the water when, sometime around 3 o�clock, we decided to head back to weigh-in. As we rounded a narrow bend in the river, we came upon a horrific sight � floating debris covered the entire channel ahead of us. Closer in, we realized there was a bass boat � one of ours � making tight circles with no one aboard. Flanking it was a small pleasure boat, yelling to us that they were looking for a missing person. At that point, we no longer cared about weighing fish. Tom and I wanted to help. Fiberglass and styrofoam were scattered everywhere. An empty lifejacket bobbed on the surface, but there was no sign of anyone. On the bank, next to a boat ramp, were several people beneath a tree. One was slumped over and lifeless. Later I would learn that it was Jimmy Atkinson, a competitor from Texas. Back at check-in, we informed then-tournament director Harold Sharp of the accident, and that it appeared two of our boats were involved. He asked for the location, then sent for law enforcement. Shortly after, B.A.S.S. founder Ray Scott left the stage and came directly to us. With him was Forrest Wood. 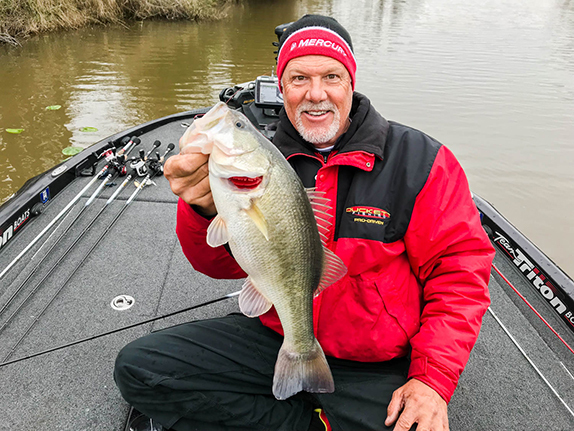 They said authorities were on the scene and that there were several anglers involved � Jimmy Atkinson, his partner Daniel Barragan and another competitor named Leslie Foster. They said they would have someone weigh our fish, but that we needed to accompany them to the crash site to make statements. When we arrived back at the boat ramp, law enforcement confirmed that Atkinson had died and that Foster had been taken to a hospital. I didn�t know anything about Barragan until much later. I recall looking into the cockpit of Foster�s boat with Forrest and seeing a rope tethered to the gas pedal � apparently a makeshift replacement for a broken or missing recoil spring. Clearly, he would have had to take his hand off the steering wheel to let up on the gas. Apparently, Atkinson and Barragan were heading to weigh-in when they encountered Foster, who was traveling in the opposite direction to an auxiliary boat ramp � the same ramp where we happened upon the accident. An investigation later revealed that Atkinson�s boat was struck broadside at high speed, likely killing him and Barragan on impact. Foster suffered only a fractured hip. Other information surfaced. Apparently, Foster�s partner refused to ride back to the ramp with him because he felt Foster was unsafe and ill-equipped to operate a boat � and that is why Foster was alone during the accident. Several anglers also recall Foster banging into other boats as he departed take-off that morning. Strangely, former Classic champion Jack Chancellor recalls Atkinson telling him that he had a bad feeling about the day � that he would not live through it. It was a sickening, sobering experience, and one I hope I never have again. I didn�t know Jimmy Atkinson or Daniel Barragan personally, just like I don�t know Bill Kisiah and didn't know Nik Kayler. But somehow, I feel a connection. I�m sure everyone involved in our sport does. Hopefully this will remind each of us how fragile life truly is, and how we shouldn�t take anything or anyone for granted. Ours is a great sport, but it has its perils. So be careful out there, and let�s get everyone back to the ramp and their loved ones safely. Nik Kayler was a war veteran, a husband and father to a young daughter. If you care to help them financially, you can do so here.